The largest 75 housing associations in England boosted their combined surplus to £2.2bn this year according to a new survey in Inside Housing (pay wall). 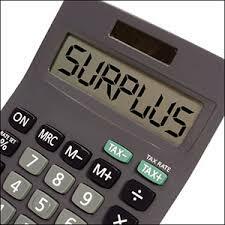 This continues a trend of record surpluses year after year. Figures drawn from the published accounts of the 75 largest housing associations by stock show the joint surplus rose from £1.78bn in 2013/14 to £2.2bn in 2014/15. You might expect staff pay and conditions to be moving up to record levels each year in this sector. They are for Chief Executives who consistently award themselves record breaking increases as we report here. But the picture for other workers in the sector is much more mixed with a number of associations coming forward with proposals for redundancies and cuts in pay and conditions. The survey shows that overall turnover increased to just over £13bn from £11.9bn, while costs increased to £9.5bn from £8.9bn. So the big associations have an operating margin – proportion of turnover left after costs – of 27.3%, a rise of 1.5 percentage points on the previous year. Inside Housing quote Mervyn Jones, a director of Savills, as commenting: “An increase in operating margin of more than 1% is actually quite impressive. A lot of the big PLCs would be pretty happy if they were achieving that.” Not a picture of a sector in desperate crisis and needing to make its workers take the pain. Associations threatening to attack their staff point to the government plan to cut social rent by 1%, which will clearly hit income, and uncertainty resulting from measures in the new housing bill. But for financially healthy organisations to dump any adverse turn in income immediately on their staff would be unacceptable; and the closer you look the less convincing any case for hitting staff appears. While there are ‘downside risks’ for associations the proposals also open the possibility of income growth. For example, the government estimate that its ‘Pay to Stay’ proposal will generate an extra £1bn per year in rental income. Many landlords are looking to diversify their development plans over the next few years - building more for low-cost homeownership and market sale and less for social rent, as cuts bite and priorities for government grants shift. A third of associations say they will develop no cheap rented housing in future and Inside Housing this week quotes Neill Hadden of Genesis as saying the other two thirds are lying. That throws an interesting light on assurances that the new association resulting from the planned merger of Genesis and Thames Valley will continue to develop cheap rented housing! Naturally many of these are associations operating in high value areas but Gentoo in the north east only gets 55.5% of its income from social lettings yet it was reported as the first association to respond to the rent cut with attacks on its staff. After many years of bumper surpluses and chief executive pay rises housing workers will be resistant to arguments that there is a need to reducing staffing or further restrain pay. 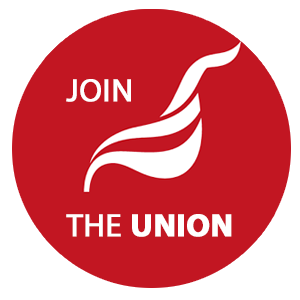 Unite will support any action members decide to take.